Stay tuned for next week’s blog post featuring South Central Jennie Award Winner Sue Ann Stearns! GFWC is proud to announce that Sandra Roberts of Rehoboth Beach, Delaware is the 2016 Middle Atlantic Region recipient of the Jennie Award. Sandra was honored in front of friends and family during the Wonderful, Wacky Women Luncheon on June 28 at the 2016 GFWC Annual Convention in Baltimore, Maryland. Since joining the Village Improvement Association of Rehoboth Beach in 1997, Sandra has dedicated herself to supporting the club. She’s served as club president, chaired fundraisers, developed club projects, and participated in countless committees. 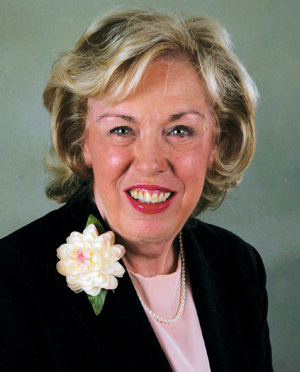 She is also active in GFWC on a state level, and served as the GFWC Delaware State President from 2010-2012. “With GFWC in her heart, she willingly takes on new challenges and shares in everyone’s many successes and few failures,” said Thelda Blackwater, 2014-2016 Village Improvement Association President. During her time as president of the Village Improvement Association from 2004-2006, Sandra led the club in supporting West Side Rehoboth New Beginnings Community Center, a recreational and educational center in West Rehoboth. The club chose the center as its Community Improvement Project, addressing the needs of children in this often overlooked community. 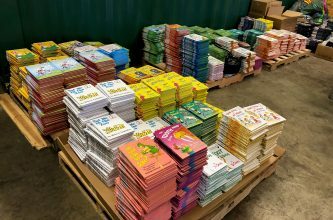 Through this project, members supported the center in its mission of improving the lives of underprivileged children, providing school supplies, educational materials, and clothing. The club continues to support the center to this day. “Sandy has worked with all socio-economic and cultural backgrounds. She is admired by everyone who comes into contact with her,” said Brenda Milbourne, executive director of the West Side New Beginnings. Sandra is an advocate for West Rehoboth, working to improve living conditions in one of Delaware’s poorest neighborhoods. She has served as treasurer of both the Coalition for West Rehoboth and the Rehoboth Day Care Center. She also currently serves as the co-chairman of the Cancer Support Community Improvement Program, working with cancer organizations to bring education and volunteerism to cancer patients. Described as insightful, open-minded, determined, compassionate, positive, and welcoming, Sandra is a shining example of volunteerism.